Toptal supports developer communities all over the world and is proud to partner with Front In Salvador, one of the biggest conferences in Bahia. The 2017 edition will gather front-end enthusiasts from all over Brazil who will discuss the technological aspects of front-end development. 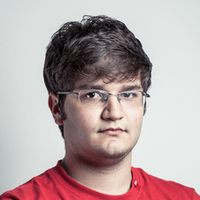 During the event, there will be several speakers, including Beto Muniz, a Toptal developer. The event will be attended by professionals, students, and anyone interested in hearing more about experiences and practices in this area. The event will take place at Faculdade Ruy Barbosa. For more information on the event, please visit the event website or contact Beto Muniz.